Just thought I’d post up another AFR build for people to reference. I had Scotty at PPAM build me a 552 for my 78 bronco that sees a little street time and lots of dune/sand drag time. Ran it last weekend and am very happy with it. In a 95 degree dyno cell. On a cooler day with a powercone spacer and bigger carb id like to think it’d break 700hp/tq, but it’s really just a number. Will continue to thank Scotty for his hard work and knowledge. I put him on a pretty tight schedule with this one and he pulled through, and as always was a pleasure to work with. Is your engine still showing any vacuum at WOT in the higher RPM ranges?? What are the corrected numbers? dfree383 wrote: What are the corrected numbers? Certainly but, those available with 1,200 or so cfm are more expensive than most people care to spend; except those who have class limitations. My good friend Dominic at "Thumper Carbs" (760) 900-3895 builds a very nice billet 1020 CFM carb that is 4150 style mounting flange. He's very active on Moparts.com on the forums, and has quite a few very happy customers!! You can look up Thumper Carbs on FB too!! He does bitchin Dominators too!! Messing with those big 4150’s in the past I wouldn’t waste my time with them if your rules will allow a dominator, the dominators always seemed to make more power at the same cfm level. dfree383 wrote: Messing with those big 4150’s in the past I wouldn’t waste my time with them if your rules will allow a dominator, the dominators always seemed to make more power at the same cfm level. No experience with Getm, but Patrick at Pro systems knows his stuff. 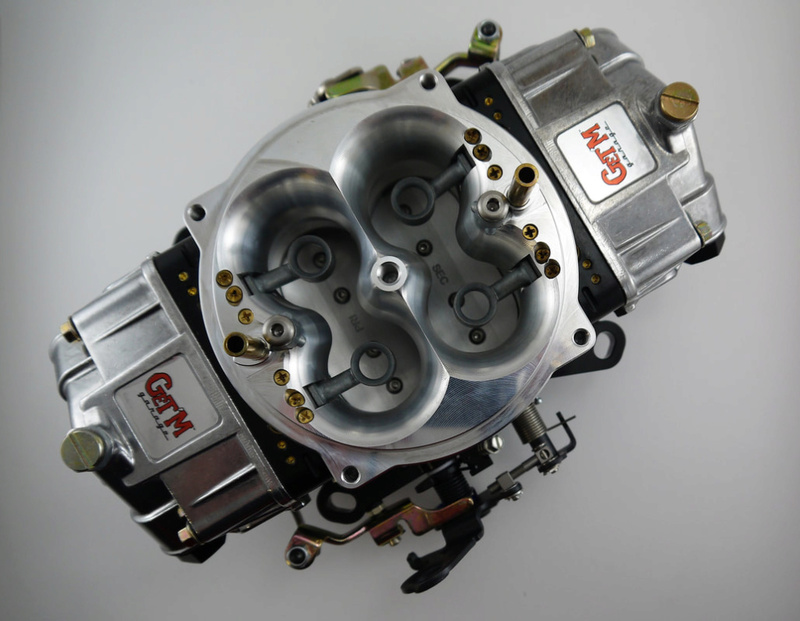 The carb he sent me (configured based on the specs we sent him), yielded the best dyno numbers as shipped.